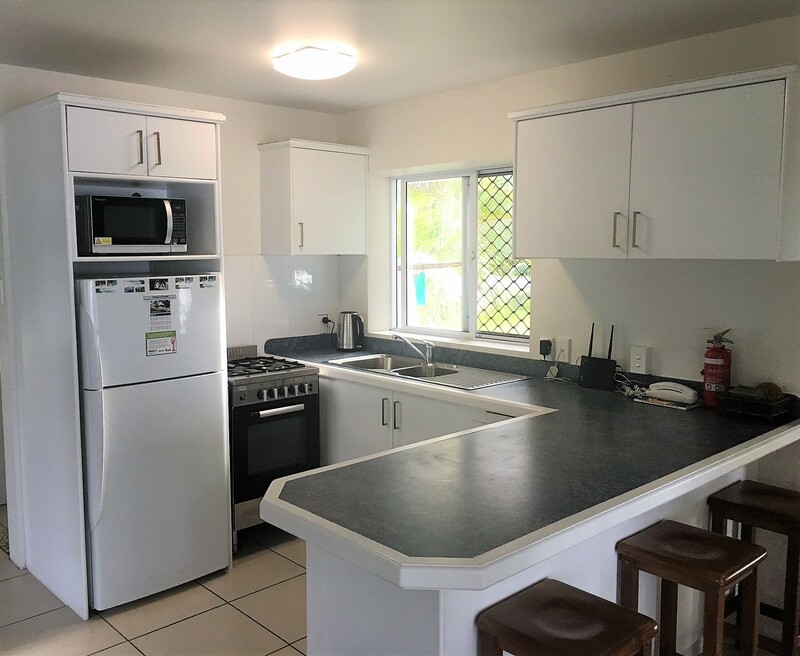 BEAUTIFULLY appointed, modern two-bedroom house with all the amenities you'll need for a relaxing and enjoyable holiday! 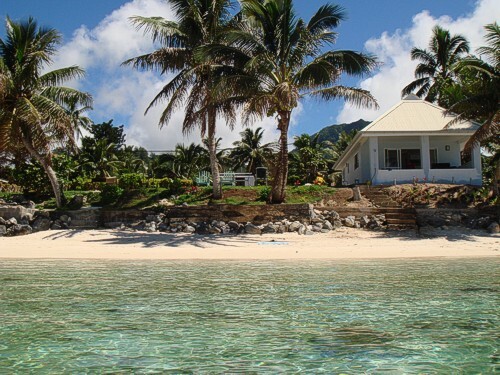 Tupe's Beach House is absolute beachfront with stunning views of Titikaveka lagoon - a marine reserve that features the best snorkelling on Rarotonga. 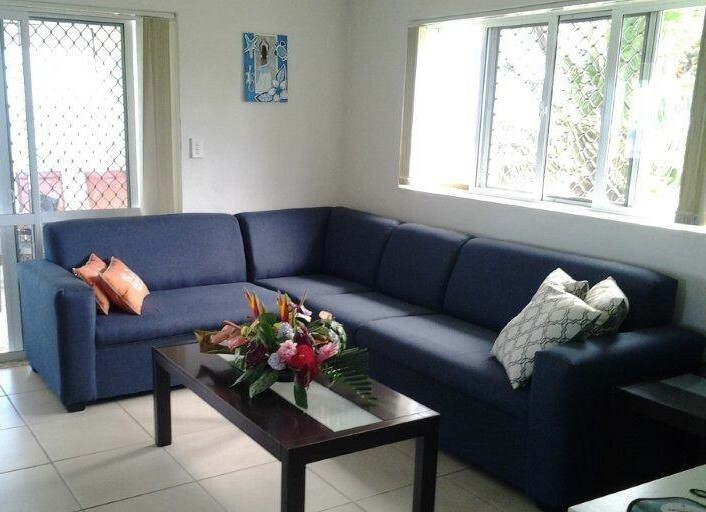 The house includes: a full living room with two comfortable sofas, large screen TV (with local TV reception) and DVD player and stereo, plus air conditioner, wi-f- connection (prepaid cards can be purchased from Palm Grove), full kitchen with fridge/freezer, oven/cooktop, microwave, kettle, toaster, and all crockery and cutlery; private sun porch with dining table and chairs and BBQ; bathroom with shower; utility room with washing machine and iron/ironing board; master bedroom with queen size bed; and second bedroom with one king-size bed which converts to two king-size single beds. And from your porch, it's just a few steps down to the white sand beach stretching for miles in either direction. There is also an outdoor shower and sun loungers in the large, grassy yard. 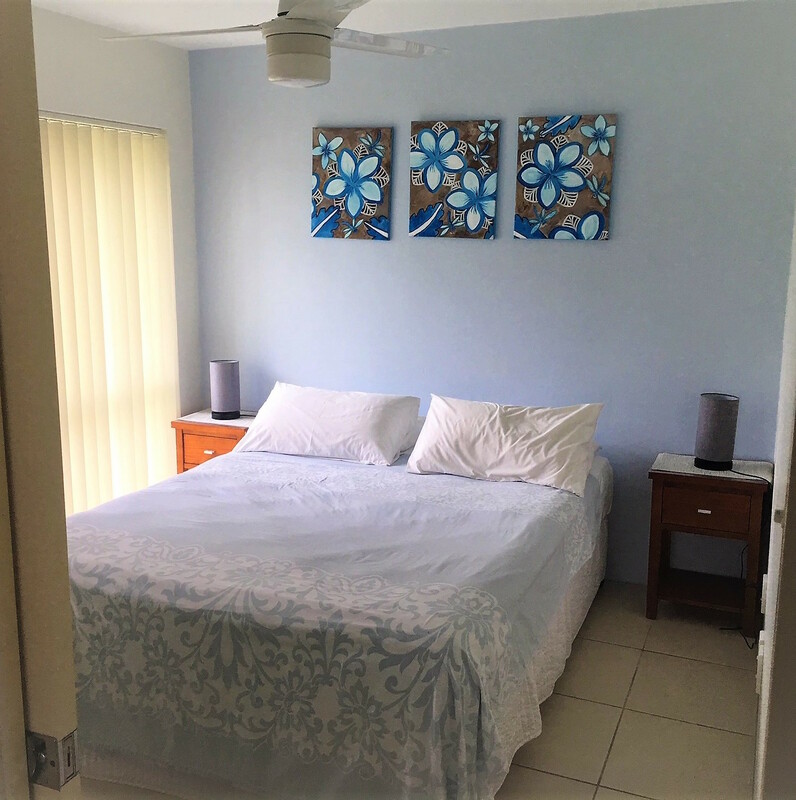 All linens and towels are provided, and the house is serviced daily. 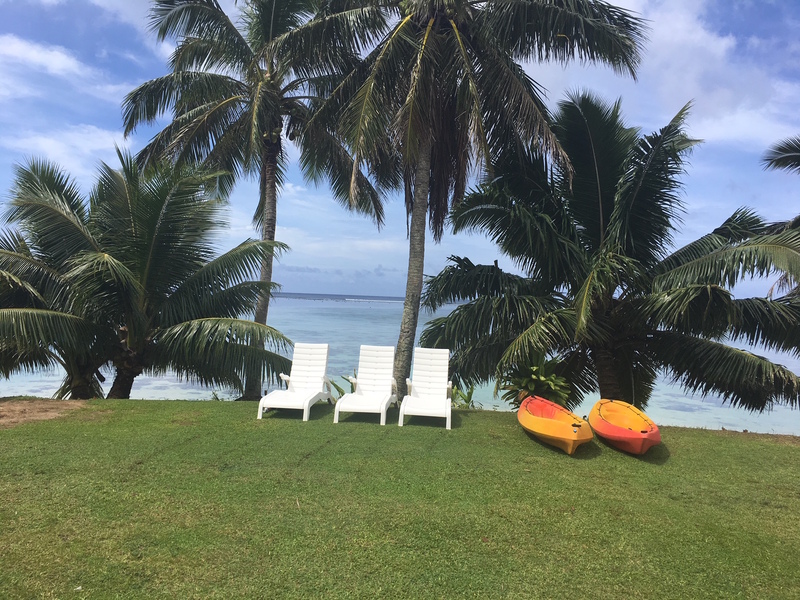 The tariff also includes complimentary use of snorkel equipment and kayaks, as well as daily tropical breakfast buffet at Palm Grove (approximately 75m west of the house). 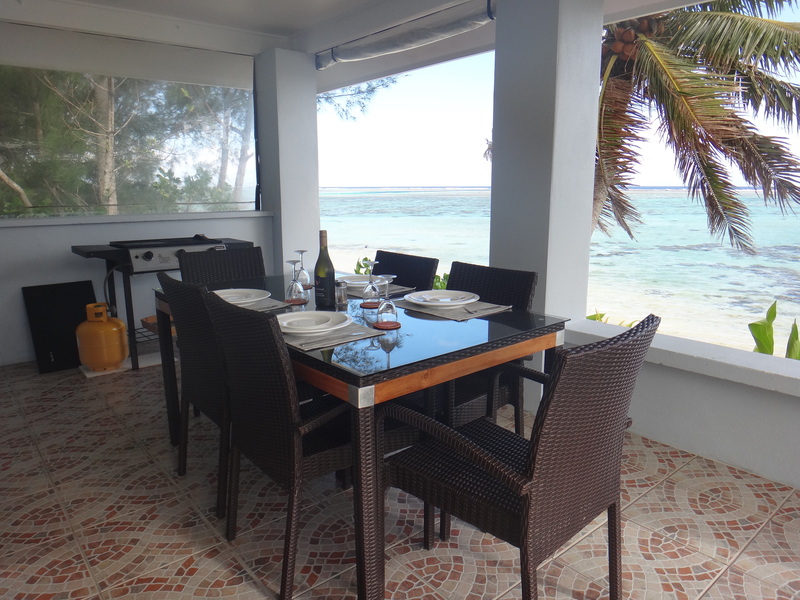 You'll also have convenient access to The Yellow Hibiscus restaurant and bar at Palm Grove, which is open for breakfast and dinner daily, as well as free use of their swimming pool and other hotel facilities. The tariff is $280 per night for two people and $45 for each additional person. Weekly rate will be $1680.